Barcelona is by far one of my favourite places. 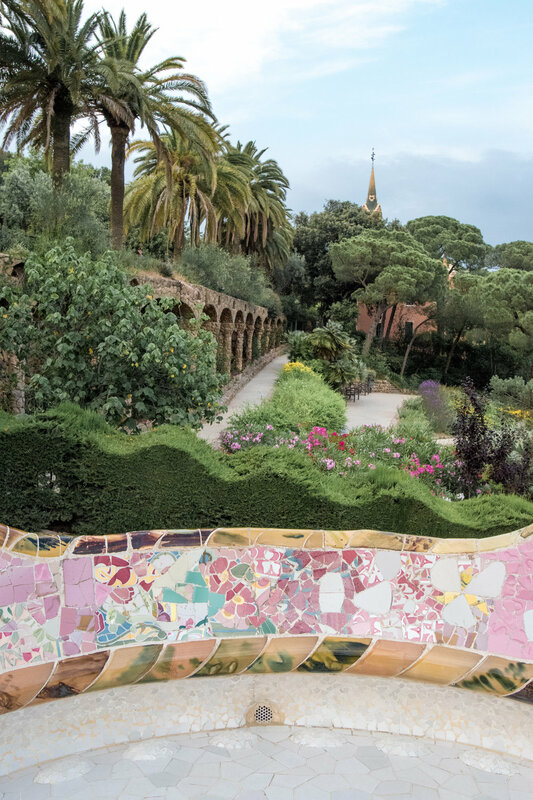 If not solely for the seafood tapas, this Spanish city has stolen my heart thanks to its city-side beaches, unique style and eye-catching, gothic architecture at every turn. 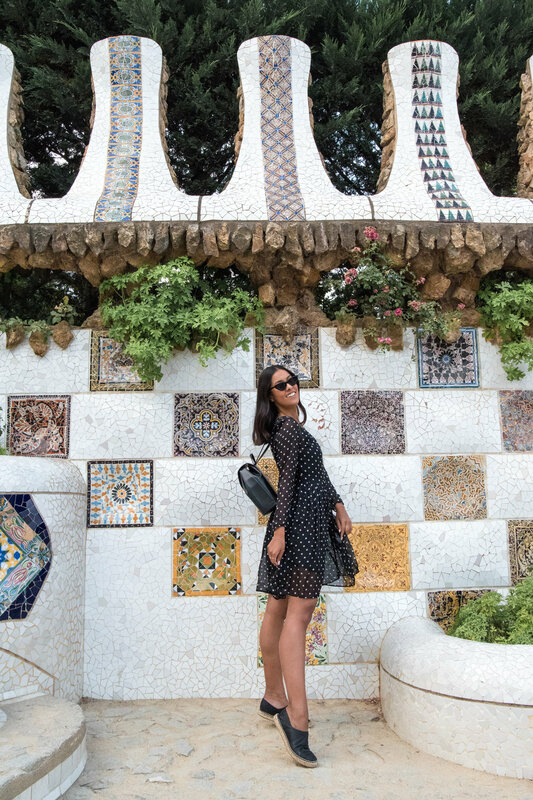 For a late afternoon exploring Park Guell, one of Antoni Gaudi's iconic works located on Carmel Hill, I opted for a semi-sheer polka dot dress from Corbo Studio to compliment the playful tile backdrop. Trying on this dress at Corbo Studio in Yorkville ahead of my trip, I had easily imagined myself wearing it in Barcelona. The loose-lined, silk fabric and viscose slip dress underneath made the dress easy to move around in for a day of exploring the city. While the polka dot pattern, which has notably become one of the season's most popular fashion trends, made such a chic statement for my otherwise relaxed daytime look. 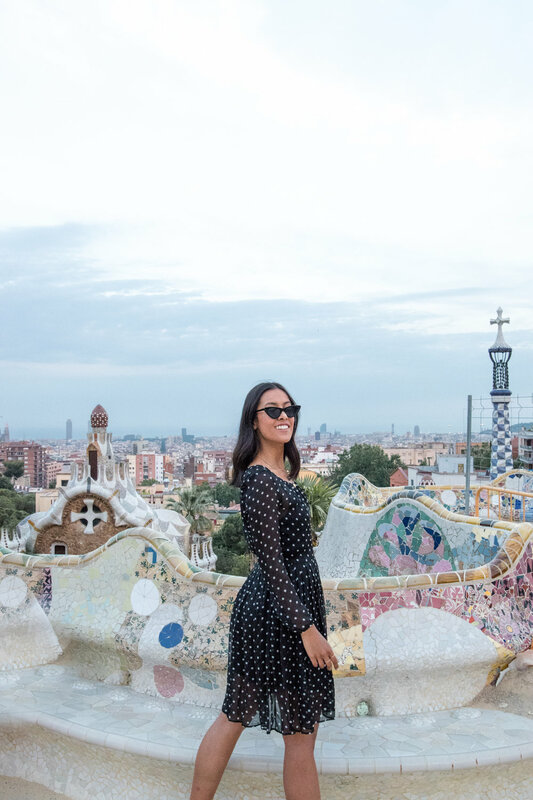 For this ensemble, I paired the dress with Le Specs cat eye sunglasses and black leather espadrilles from Via Spiga, which made for the perfect overall combo against the vibrant city views. Scroll down to see!